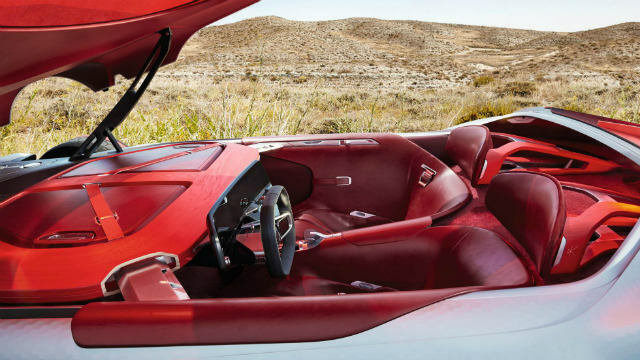 The two-seater electric coupe combines an extensive dash of technology with woodwork art and a blazing red cabin. Here's looking at the incredible creation. 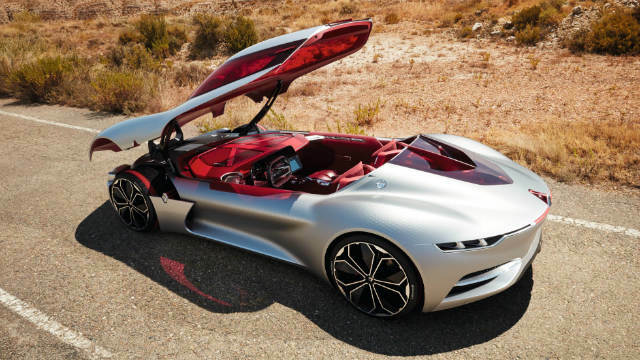 Blazing red, a dash of silver and everything that our dream car from the future would look like - that, in brief, is the Renault Trezor. 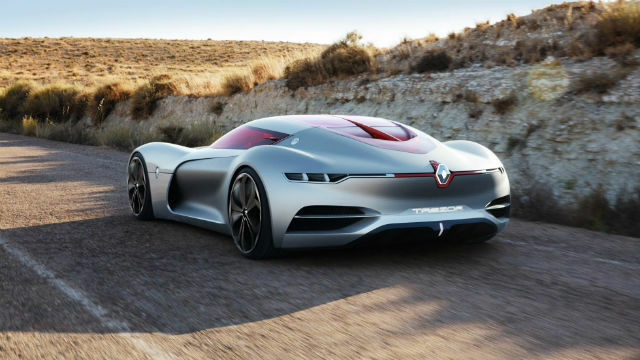 From an outlandish blazing red tint around the windscreen that is also the window in continuation, to a typical C-shaped design that is already signature to Renault, the Trezor is an exhibition of what Renault wants to achieve in the near future. And, going against the typical show that concept cars like Faraday Future’s FFZERO1 have brought to the forefront, the Renault Trezor feels bizarrely close to reality than the unabashed, Tony Stark facade that it presents. Renault’s expertise in electric cars have been well established. The company is the largest seller of electric cars in Europe, and is one of the key technology partners in Formula E. It uses a 260 kilowatt (kW) electric motor producing peak of 350 brake horsepower. Peak torque is rated at 380Nm of linear electric powertrain, and also employs RESS - Rechargeable Energy Storage System - that is used in Formula E racing cars. This is a modified form of KERS, or Kinetic Energy Recovery System, used in Formula 1, or notably, in the beastly McLaren P1. With all of these in hand, the Renault Trezor is rated to go from 0-100kmph in less than four seconds. The engineering also takes care of kerb weight distribution, with uniform placement of batteries - one at the front, and one at the back. Despite the 250mm ground clearance, Renault has succeeded in aligning a long front hood with a low central cockpit to present low centre of gravity for the chassis, and enhance sleek aerodynamics. The chassis itself is reduced in weight than conventional heavy metal builds, comprising steel tubes at the front and rear, and a central carbon cockpit with a single window unit that is also carbon. The proportions are massive but quite flowing, and the long wheelbase measures 2776mm. Laurens van den Acker, Director of Design at Renault, has carved a sense of warmth into a concept presentation of steel and carbon - often looked at as an “emotionally cold” combination. The blazing red interiors extensively use wood in its interiors - a stark contrast to the aggressive exteriors, the red panel of glass and the premium, extensive dash of technology. The plush, warm luxury of wooden interiors subtly complement the cutting edge technological prowess of the Renault Trezor, with wooden inlays around the luggage compartment of the car that have a natural finish. 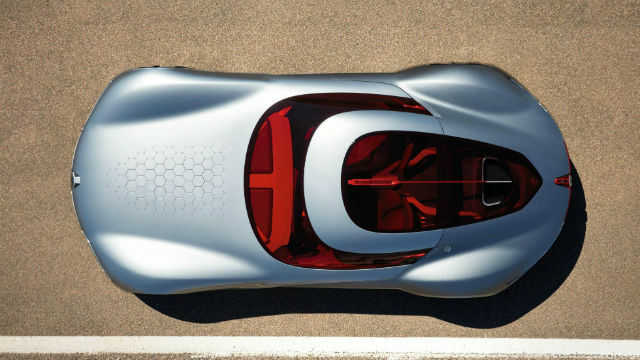 The design is mature, and is way more evolved than any comparable concept cars around. In terms of technology, the 4.7m long car can only be entered by opening up the entire roof - a single abstract stretch that lifts up to give you access to your world inside. The L-shaped touchscreen inside fuses the multimedia platform with the instrument cluster to give you one, neat, flowing cockpit. The displays use OLED panel, and offer Ultra HD (2160x3840 pixels) resolution, along with a Corning Gorilla Glass-protected touch interface. 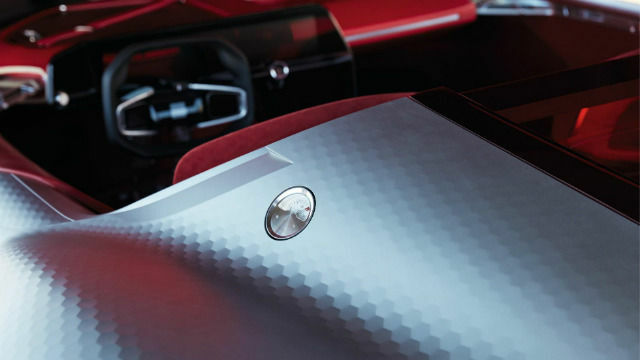 As if to ensure that didn’t seem too paltry for a concept car, the displays are curved OLED panels, and once you pair your phone to the multimedia system, the applications are displayed on it, from which you can simply flick them on to your steering console centre. In terms of driving this 1.6 ton behemoth, the Renault Trezor presents three driving modes - Neutral, Sport and Self-Drive. In Self-Drive, the exterior lighting will change to alert others that the car is driving itself, while the steering wheel inside will extend horizontally to give you clean view of the display ahead of you so that you can enjoy a film on the crisp panel. Lighting inside is driven by laser-assisted fibre optics that create ambient, naturally rhythmic effects to the tune of sunlight’s reflection on fluid water, or even, the Aurora Borealis. While the honeycomb exterior pattern extend all the way downward to accentuate air flow, the plush wood-and-leather inspired interiors mean that this is a far shot from the regular array of cars. This is a stunning glimpse of a fully automated, all-electric future, one where we will slowly but steadily get to. The Renault Trezor is an experience, and while we most certainly not see the entirety of it making to production, it will be interesting to see exactly how much of its dream Renault manages to achieve. 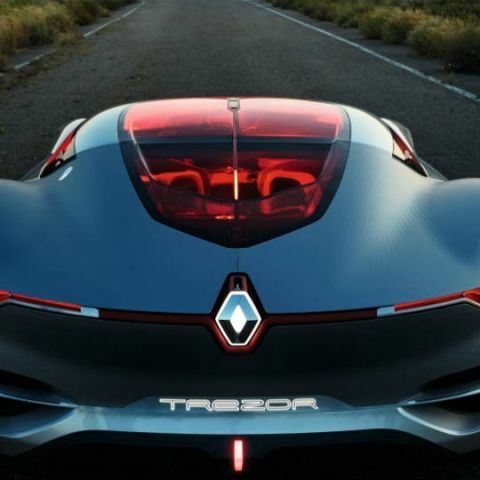 The Trezor, as is, has already been a more thinkable concept car, and neat touches like a battery percentage indicator in place of the fuel cap insert say volumes about Renault and its intent in the auto industry. 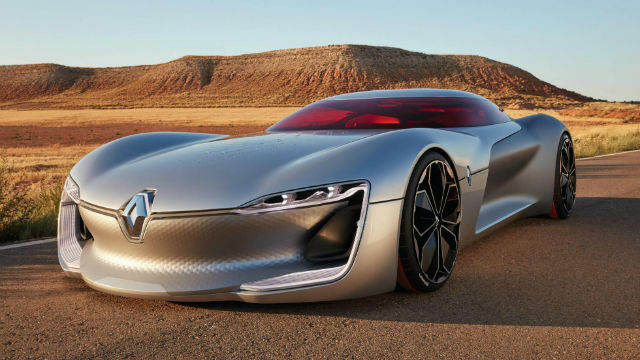 This is not a mere dream - Renault is serious about luxurious designs marrying just-born technology, and sooner than later, this will possibly be a reality. which is the best car racing game in Android? What is MotionScan Technology ?